jbs inspiration: Button Bracelets by Melissa! Today we have a couple adorable bracelets to share by our ultra talented office manager Melissa! These were made with our new Vintage Holiday Chipboard Buttons and our Vintage Style Sew-On Buttons. 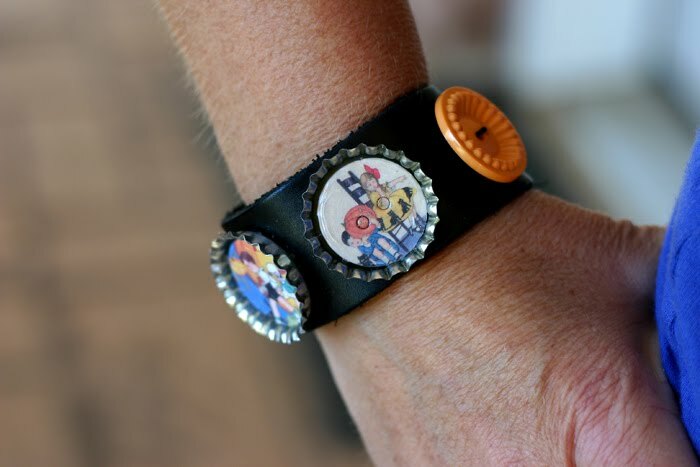 The chipboard buttons were covered wtih a clear glossy glue first, then glued into soda tops and onto the bracelet. Be sure to use a strong adhesive such as E6000. 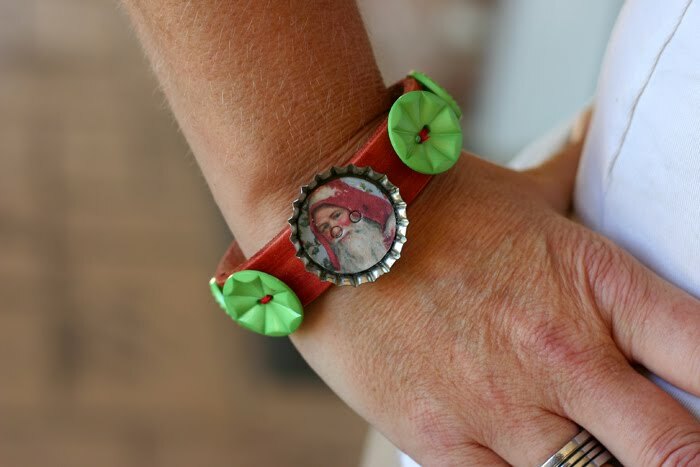 The bracelets and soda tops can be purchased at your local craft store. Melissa - these are fabulous and so creative! these are so cute! great idea! 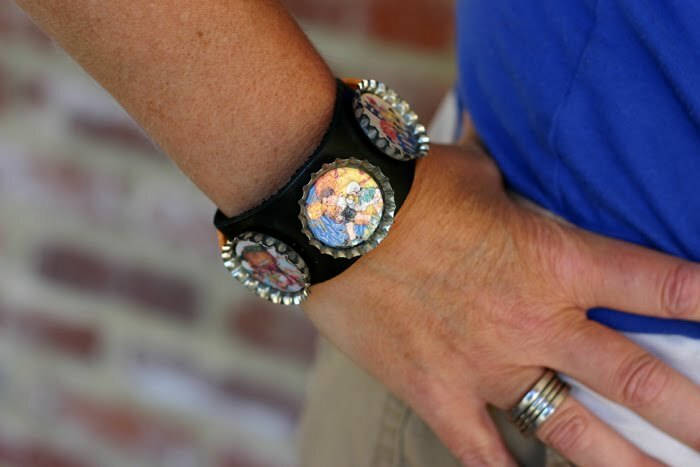 my daughters got to make some in AC Moore one day where they put stickers into the middle of a bottle cap and strung it onto a bracelet...I thought it was so cute! fun project for adults and kids too! These are great! Such a cute idea!